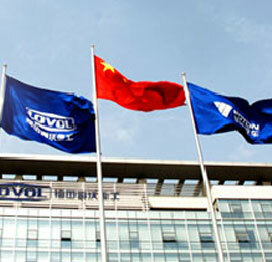 FOTON LOVOL INTERNATIONAL HEAVY INDUSTRY CO., LTD is a modern large-scale machinery and equipment production enterprise and its main business covers construction machinery, agricultural equipments and vehicles. The total assets is USD 1 billion and 2008 turnover has reached USD 1.71 billion showing year-on-year rises of 24.7%. The brand value was authorized as more than 1.51billion USD and listed No. 66 among “China top 500 enterprises”, and the No. 3 among the China Construction Industry.